Wow June was an amazing month for photo booths this year! Known as the #1 month for weddings it looks like 2014 will be known as the #1 month for software in our industry. We saw major releases from Breeze and Social Booth along with multiple incremental changes from Photoboof and dslrBooth Pro. Notably there was no new releases from Darkroom Booth, but I've been told something is in the works. www.breezesys.com - Breeze has officially released version 3 of their very popular booth software DSLR Remote Pro. It is a culmination of fixes and tweaks to the public betas released over the past couple of months. Some major features of version 3 include a print layout editor. They also now have a page where there are a number of free templates available for download (the Design Shop also is featured at the bottom of the page). www.photoboothsolutions.com/socialbooth - Not to be out done Photo Booth Solutions released version 2 of their popular software Social Booth. The released features improved DSLR functionality, customizable screens, animated GIFs, new filters and more. Also making its first appearance in v2 is support for multiple layouts and easy on screen selection. Additionally thumbnails are now displayed on screen as a session progresses. Improvements to the event management section now allow you to load up a booth with multiple event profiles and select the one you want when starting up the booth. One slick thing with the Social Booth animated GIFs is the ability to add a branded overlay to them (see example below). The release has been very well received by users and looks to be another winner by PBS. 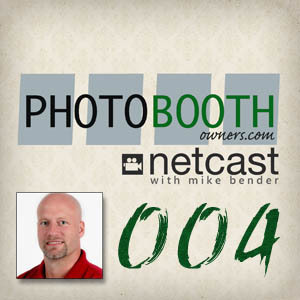 www.photoboof.com - In June Photoboof made a number of improvements to their current version of the software (3 releases in fact). These include a long laundry list of features most notably an improved layout editor, multiple background choices for green screen, singleton implementation (only 1 instance of Boof can run now) and a whole host of fixes and tweaks. New layout editor! Much easier to use than the old layout editor, and just as powerful. To use it, click File -> Layout Editor. Usage notes are here. And note that you can still use the old layout editor if you prefer by clicking File -> Layout Editor Classic. Added the ability to have two background choices when using greenscreen. To use, go to Preferences -> Greenscreen and set the greenscreen mode to "Background Chooser - 2 Choices". Added the ability to shoot square pictures, for easier Instagram sharing. To use, open the new layout editor (File -> Layout Editor) and set the "camera type" to "square pictures". Now your live view and all pictures will be square. Added a print chooser that lets users choose how many prints they'd like. To use it, go to File -> Configure Printing, and check the box at the bottom labelled "Ask how many prints". It will now let them choose between 0 and 3 prints. Added the ability to build layouts using whatever test pictures you like, by clicking Test -> Test Layout With Chosen Pics. Added the ability to use any layout built with the new layout editor as a summary, meaning the last screen of the photobooth session. This gives a tremendous amount of control over what you show your users at the end of the session. 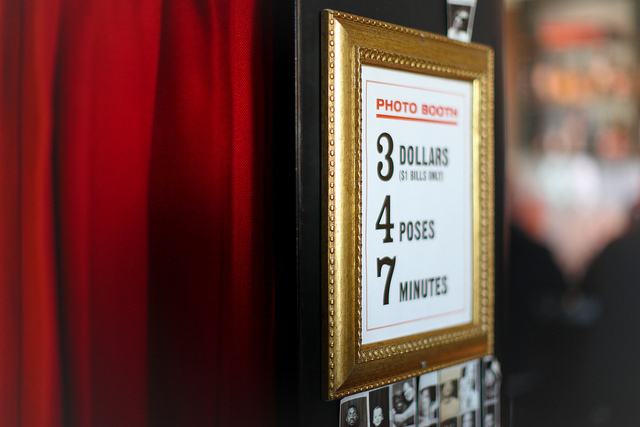 You can show them the completed layout, or the layout with some additions ("and thanks for using the photobooth! "), etc. To use, go to Preferences -> Summary and select one of the new layouts, or build a new one using the new layout editor. Fixed an issue with rounding the edges on the live preview and trimming from the edges. Changed the webserver system for displaying the slideshow from remote computers, so antivirus programs should no longer get suspicious. You can also have it running on ports other than port 80 now. Added the ability to use physical buttons to emulate all touchscreen buttons. So now you can let users choose their own greenscreen backgrounds or color mode even without having a touchscreen. The gist is you go to Preferences -> Triggers and set the button action to "touchscreen-1" (to trigger the first touchscreen category), etc. More details here and here. Improvements to the OEM rebranding for resellers. Added the ability to use the background chooser for greenscreen backgrounds and still have the background images chosen sequentially. In other words, if someone chooses the second greenscreen category, you can have it use the images in the "button2" greenscreen folder sequentially instead of randomly now. Fixed an issue with the monitored folder and layouts that have less than 4 pictures. Many under the hood improvements. If you're using the bulk Facebook uploader (in other words, uploading every session to a single Facebook account) and getting logged out of Facebook after a few hours, this should fix that. Note that if you're using your own app ID you'll need to go to Preferences -> Facebook and add your app's "App Secret" code, which you get from facebook.com. More notes in the advanced tip here. Photoboof now checks for multiple instances, and warns if you're trying to start more than one copy of it simultaneously. In other words, if someone accidentally clicks the shortcut twice, it will warn them about starting it multiple times. Restores the ability to set the paper orientation in Photoboof's print configuration screen, as opposed to the printer driver. Fixes some issues with the 2nd column of pictures in the new layout editor if you're using cropping or rotation. If you still experience any issues with the new layout editor, please email support so we can fix it. Fixes an issue with picture confirmations. If file paths are getting truncated in your installation (for example in Preferences -> Greenscreen), this update will fix that. Like I said there was a lot of work done on Photoboof in June. www.dslrbooth.com - dslrBooth released minor version 3.6.24 and 3.6.29 in June. Both were minor increments with a handful of fixes and tweaks in each. Here is a complete listing of what changes were made. As you can see there sure was a lot of activity in June making it one of the more exciting months this year in photo booth software. If you're running any of these new releases we'd love to hear your thoughts. Leave us a comment below or start a discussion in our forums.